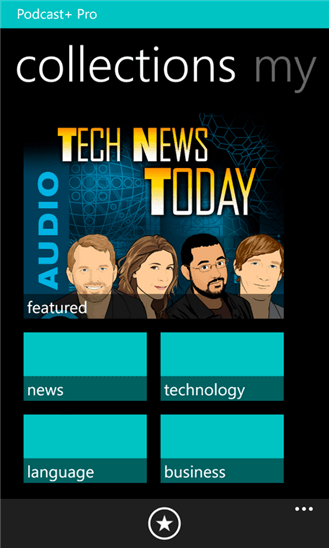 One of the best podcast apps available for Windows Phone, Podcast+ Pro, has received a significant update overnight bringing several new features and a wide range of fixes & improvements along the way. Podcast+ Pro is my favorite podcast app available for the platform and if you are one who listens to a lot of podcasts it should be on your short list to consider. The update, version 4.3.0.0 for those keeping score at home, adds a handful of new features including the ability to automatically mark your podcasts as played but also adds a lot of fixes and improvements to enhance the overall user experience with the app. finds via email and text. In addition to these new features, there is a long list of improvements and fixes that the app brings to make the performance and usability better. The catalog in the app is extensive and you will find a wide range of podcasts covering everything from news to technology. I’ve been using the app since my return to Windows Phone last year and while certainly one of the more “expensive” apps in the Windows Phone Store, well worth the price of admission.